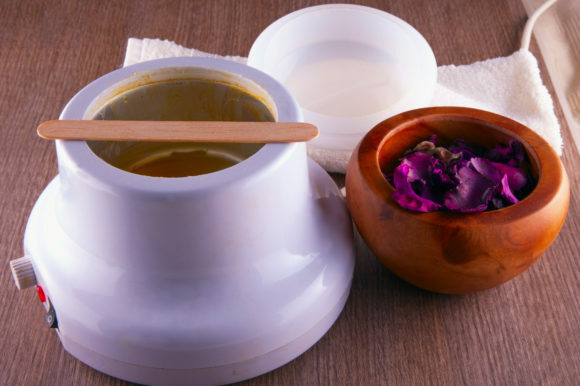 A Brazilian wax is similar to the Hollywood wax, with the removal of all hair from the pubic region, using a hot wax – with the exception of a small patch of hair – either a strip, triangle or oval shape on the front. If necessary, the hair may be trimmed first to allow the wax to penetrate the follicles more effectively. Then, using a wooden stick, a technician will put hot wax onto small areas, one at a time. Cloth strips are placed over the wax and, after it cools and hardens, it is pulled away from the skin, removing the hair from the follicles. This type of waxing has become very popular in recent years. Customers who opt for a Brazilian wax at our London day spa can feel reassured that all our therapists have received specialist training and are highly experienced.